WASHINGTON — At the start of the confirmation hearing for Supreme Court nominee Judge Brett Kavanaugh on Tuesday, Senate Judiciary Committee Democrats moved to adjourn the hearing pending the review of documents the committee received Monday night. 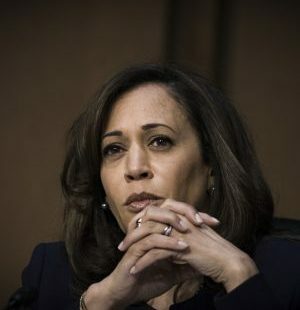 The move to adjourn was initiated by Sen. Kamala Harris (D-Calif.), who interrupted the opening statement of Chairman Chuck Grassley (R-Iowa). Sen. Richard Blumenthal (D-Conn.) seconded the request for adjournment. “If we cannot be recognized, I move to adjourn,” he said. Democrats Amy Klobuchar (Minn.), Cory Booker (N.J.), Sheldon Whitehouse (R.I.) and Ranking Member Dianne Feinstein joined the fray and requested that the committee adjourn. Grassley rejected successive adjournment requests. “You are taking advantage of my decency and integrity,” he said. Sen. John Kennedy (R-La. ), a new member of the committee who is known for his sarcastic sense of humor, voiced his frustration over the interruption. “Are we going to hear from the nominee at some point?,” he asked. Throughout the hearing, protesters seated in the back applauded Democrats’ requests for adjournment. Dozens shouted objections to Kavanaugh’s nomination and were removed from the hearing room by U.S. Capitol Police. President Donald Trump nominated Kavanaugh to the Supreme Court on July 9. Kavanaugh, 53, sits on the U.S. Court of Appeals for the District of Columbia. The National Archives has furnished documents related to Kavanaugh’s tenure in the White House Counsel’s Office to the Senate Judiciary Committee under the condition that the documents are not shared outside the committee. The documents received by the committee Monday night pertain to Kavanaugh’s tenure in the White House counsel’s office.